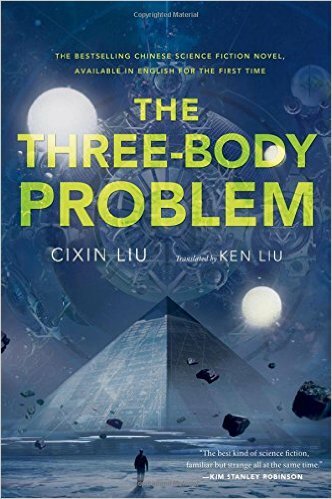 The Three Body Problem is a book I heard rave reviews for. What I found was not what I was expecting. The novel is about first contact with aliens, but it takes forever to get to the point. Instead you spend the first quarter of the book reading about the cultural revolution in China then you spend almost the entire rest of the book following characters who are trying to put together clues to a mystery (alien first contact... it's obvious the entire time) while never actually being interesting. No one ever puts the pieces together or accomplishes anything. Instead they need it spelled out for them by the person who made first contact. There's no drama, no good story arc, never a character you can relate to. And to top it all off there are huge sections of the book that are written as dry as possible. What I expected was a groundbreaking Sci-Fi novel since that's what it was sold to me as. What I found was the longest preamble to a premise that I've ever read. The premise is finally established in the last 5% of the book and then the novel just ends. I don't care if it's part of a series that picks up where this leaves off, there's no way I can recommend The Three Body Problem.